These are small 4"x4" square frames. I could not open the back of these frames, since they were glued shut. So I decided to paint over the glass with chalkboard paint and make them nameplates that can be hung on doors, or placed on a table using the rest in the back of the frame. Since, I will paint on glass, I had to prime them first. 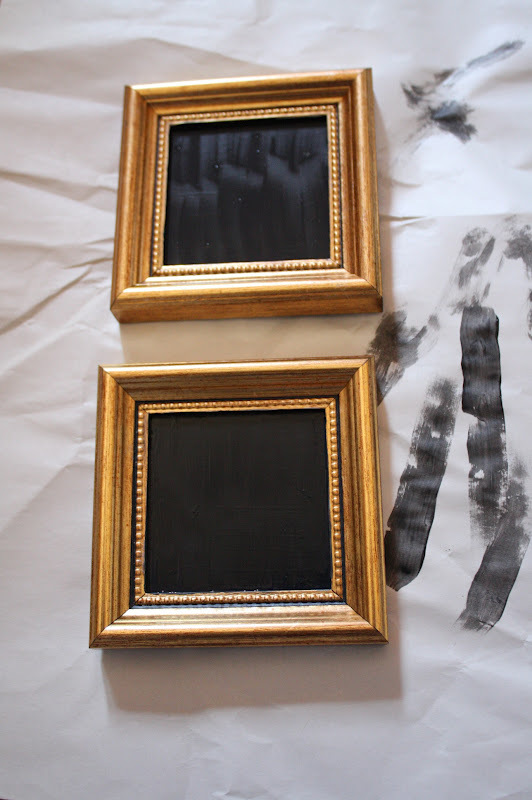 I had to paint several coats of the chalkboard paint, since it was difficult to paint while saving the frame. But after all the coats I reached an agreeable point. 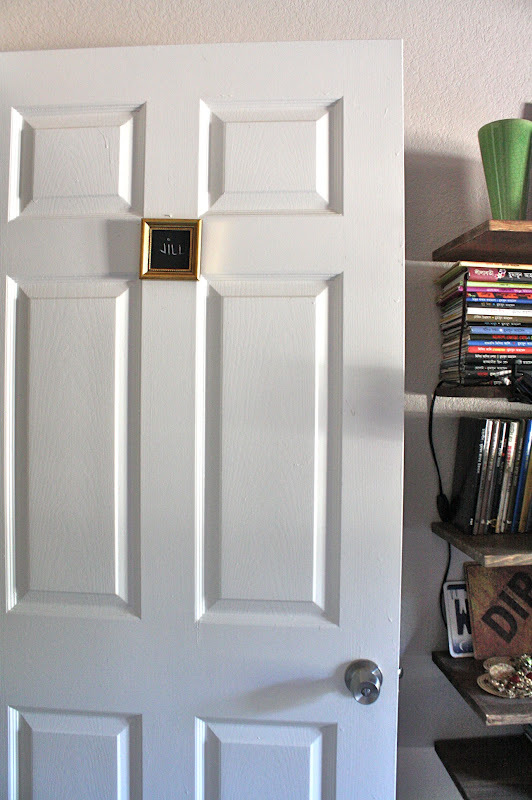 You can hang these on your door using just double sided mounting squares. You can place them anywhere, really! And write whatever you want!